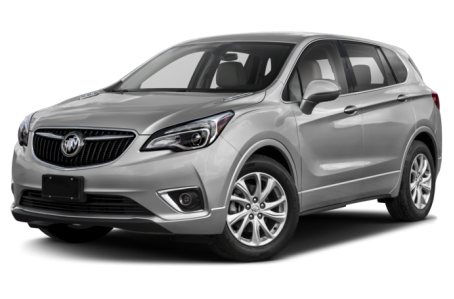 The 2019 Buick Envision is a compact SUV that seats up to five passengers. Five trims are available: the base model, Preferred, Essence, Premium I, and Premium II. It is powered by a standard 197-hp, 2.5-liter four-cylinder engine mated to a six-speed dual-clutch automatic transmission. Front-wheel drive comes standard, while all-wheel drive is available. A more powerful 252-hp, turbocharged 2.0-liter four-cylinder mated to a nine-speed automatic and all-wheel drive is found in Premium trim levels.